Have you ever lost or misplaced your car keys or had a key break off in one of the locks or the ignition? Have you ever locked your car door with your keys inside your vehicle? When these incidences happen on the road and you are left stranded, call Key, Lock & Safe King. 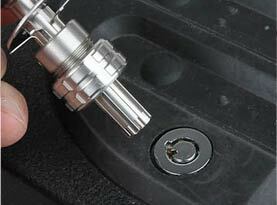 Our knowledgeable automotive locksmiths are available 24/7 around the clock. We understand that these emergencies need to be responded to quickly and with the utmost professionalism and respect towards you, your vehicle and your property. That is why, if you are in an automotive emergency in the Greater Atlanta area, you can trust us to dispatch a locksmith over to your exact location; fully equipped, ready and knowledgeable in helping you in any kind of emergency locksmith situation. Key, Lock & Safe King understand that a home is only as strong as its foundation, and as secure as the locks on all its doors! We are available 24/7 for emergency residential locksmith service; so that you’ll know that when it comes to your security and peace of mind, we do not rest until your residential lock hardware needs are met. 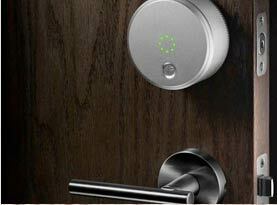 Did you know that in America, a home is broken into and is entered illegally every 30 seconds? Over time, even the most advanced home security systems can become compromised by general wear and tear, loss or theft of keys, robberies, vandalism and change of tenants. 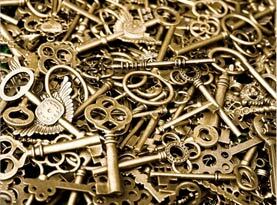 Key, Lock & Safe King locksmiths are ready to assist you in unlocking, installing, re-keying, copying, repairing or replacing any lock and key. We are committed to your safety! When we duplicate a key for you we will ensure that the new key cut completely matches the original; and if it does not, we will modify it until it does! If you need to install new locks, repair existing locks, upgrade your security system or have locked yourself out of your home, Key Lock & Safe King is at your full service. At Key, Lock & Safe King, we like to think that all business owners value their businesses as much as we value ours! We understand how necessary it is to ensure the security of your place of work, and we offer nothing but the highest quality in reliable and professional-grade products and services to help you achieve this security and peace of mind. We are available 24/7 for your convenience. Our quality locksmith services and expertise provide you with the best commercial locking hardware and services in the Greater Atlanta area! Our commercial locksmith services include everything from conventional lock-and-key systems to industrial-standard high security systems to panic access systems and emergency exits. Our locksmiths come with years of experience in the field of commercial security and are fully equipped and trained to take care of any commercial locksmith job you need. We can install new high security locks and keys, repair and re-key existing office locks as well as manufacture master and access control systems. Our custom access control systems allow for different levels of security for different levels of managerial hierarchy. Key Lock & Safe King also provides services for locking file cabinets, safes and vaults, as well as disruptive and inconvenient office lockouts. 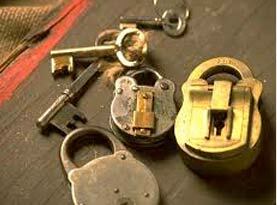 Our many years of experience mean we are familiar with all types of locks; whether old or new.